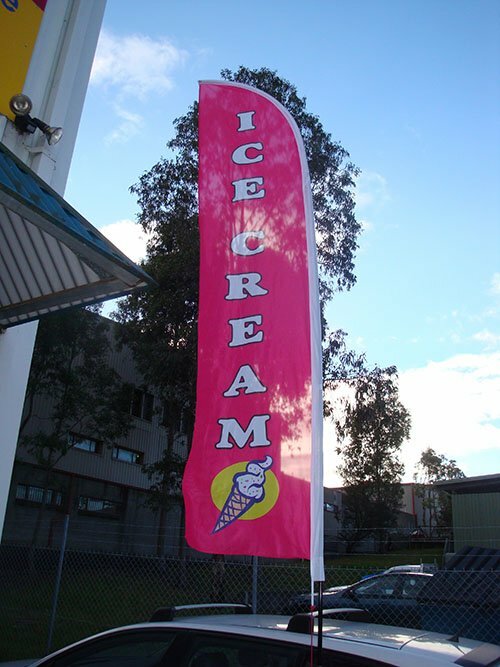 Feather and Teardrop flags can be put up in a couple of minutes creating impressive advertising for any occasion. 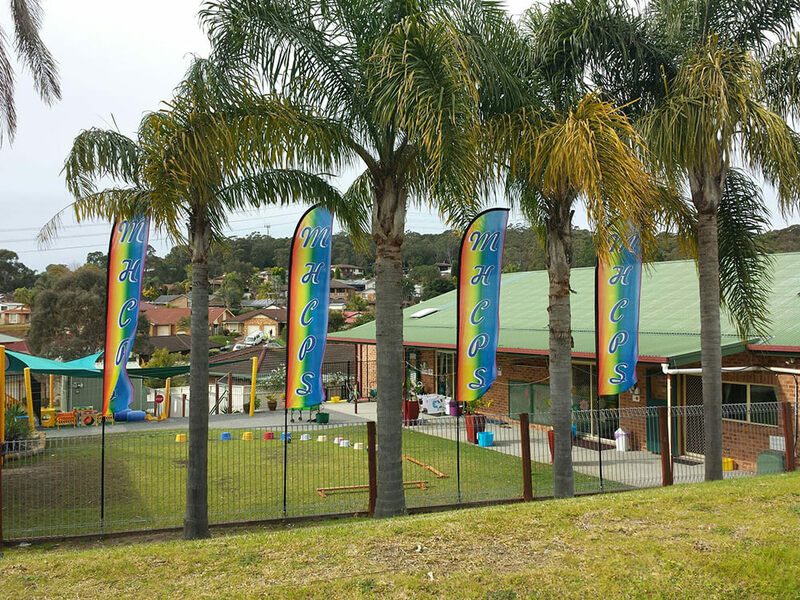 Feather Flags can be used indoors and out and, combined with the correct base choice, they can be used on hard surfaces or soft ground. 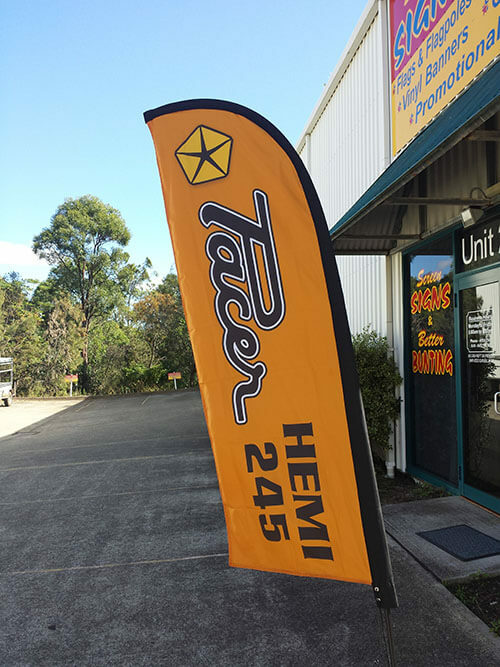 Feather or teardrop flags are a great way to display your logo or message. 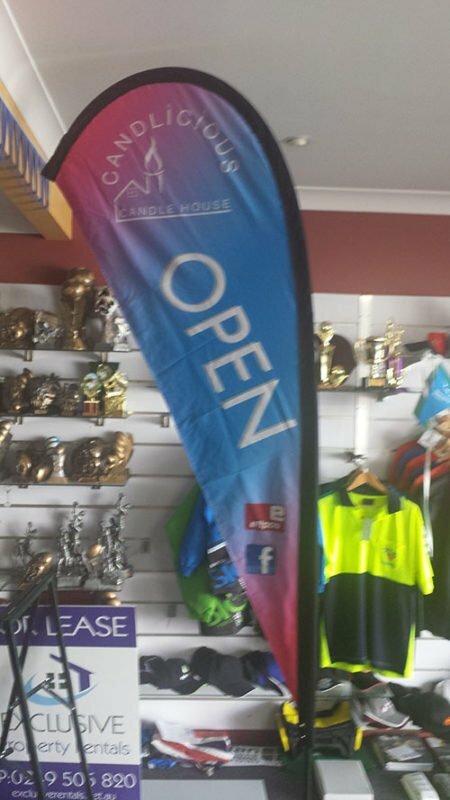 They are extremely flexible as you can choose the size and base so they can be used indoors, outdoors, mounted to walls or permanently affixed almost anywhere. They can also be printed single or double sided. 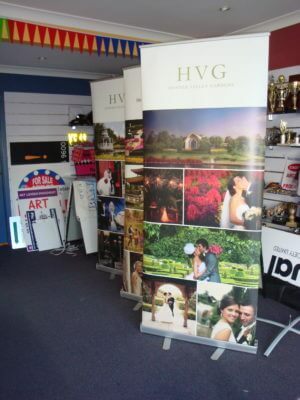 Feather flags are especially successful for displays, trade shows, shop fronts, special events…the list goes on and on!